Road Scarf is finished, all 39″ of it. 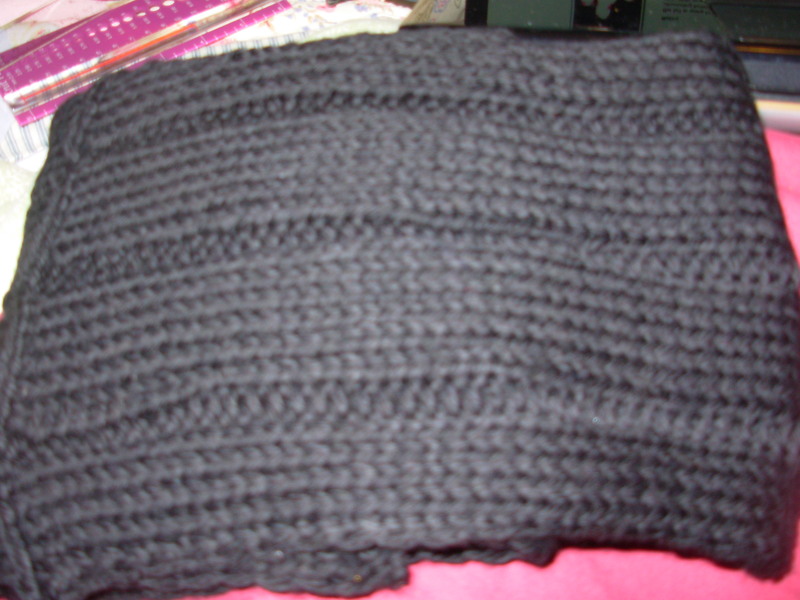 He said he wanted a scarf 36″ long but it blocked a little longer. 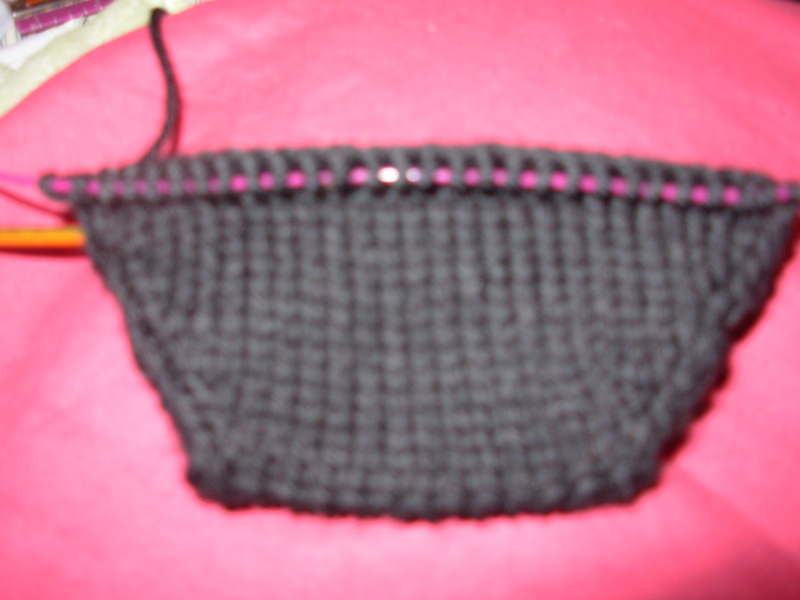 I’m glad that I frogged and started over, it’s far more pliable and soft this time around. The black socks have been started, have the toe caps done on each. They’re in Knit Picks Stroll Sport, again – not the softest yarn ever but definitely wearable and since it’s superwash it works just fine. I’m using the combination of Wendy Johnson’s Toe Up Socks With a Difference pattern and will be adding a cable going up the sides. Black is a difficult color to work without bright lighting and some sort of patterning to break it up a bit. Friday I went and signed paperwork for new-hire orientation. The job is supposed to start 11 Oct. but the date is still somewhat tentative and that makes me just a wee bit nervous. Still…. it’s definitely something to look forward to!!! I’ve been feeling a bit more down than usual lately and a lot of it has to do with the whole unemployment thing. It’s a bit disheartening not to know how anything is going to get paid for, to have the socialization of colleagues gone, and go through the whole application process repeatedly knowing there are dozens, if not hundreds, of applicants. Anyway….. today was spent cleaning as well as working on my online art history course, a little intro. to psychology and finished Road Scarf. This entry was posted in job search, knit, knit socks. Bookmark the permalink. Thanks, Linda. I hope things get better for you, too. It really is a nightmare out there right now. Pointy sticks and progress do help! Hang in there fellow unemployee, at least you have jobs to apply for. Definitely it is a roller coaster emotionally. Missing people you worked with is the hardest, I am lucky we have a group of us that tries to get together at least once a mont, helps. But you have your knitting as I do and that is a good thing.